Stick with them on what? Going to a mass with a conductor leading the singing in front of the altar rail? You are not ever clear on what you are "sticking with" , nor posting the quotes from Pius XI and XII which you claim you are flowing. It’s easy, I obey them, not you or TIA. Sept. 3, 1958, approved by Pope Pius XII. ...from the same pope who destroyed Holy Week? Its easy: I obey the 250 before them, not Pius XI or Pius XII when they import modernism into the liturgy which ended in the Novus Ordo. Yes, and he hardly ruined it. I am not a dissenter. I love and trust the Pope. I do,not trust dissenters. Nope, not modernism, just organic development. There is no holiness in dissenters. I’ll stick with the Pope. Obey who on what? That is the question. What are you talking about? The others have posted clearly what they are talking about and you have said nothing but that you follow Pius XI and XII, but you do not post what you are talking about or the instructions from PIUS XII and XII on your mysterious subject. Your 1st sentence shows you a an ignorant zealot. Your 2nd sentence shows you despise Archbishop Lefebvre ( a "dissenter"). Your 3rd sentence shows you a hippocrite for not showing the same love to Francis. Your 4th sentence show you a hippocrite as a sede who doesn't like dissenters. A totally fabricated rite with no basis in Church history is somehow "organic development." By the time Pius XII was elected Pope in 1939, neo-Modernism or Progressivism had already begun to re-establish itself in the Church with the rise of the “New Theology” and to make itself manifest in the liturgy – the place where the ordinary Catholic comes regularly in touch with the Faith. 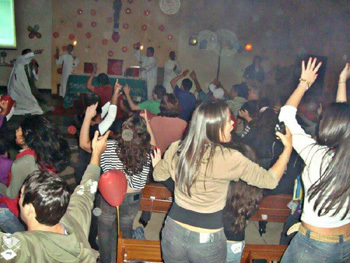 We have seen how the slogan “active participation” has become the motto for liturgical reform and acted as a catalyst to change the face of Catholic worship. But the real revolt was not superficial: It was aimed at changing the fundamentals of the Faith itself, especially the doctrine of the Eucharist and the priesthood. “Active participation” also raises deeper questions. How have the faithful slid so quiescently into a non-traditional way of worshipping? How has it been so easy for the reformers to change the way Catholics have been participating in the Mass for centuries? How have they been allowed to alter the fundamentals of the Faith as expressed in the Tridentine liturgy? The answers to these questions lie in the fact that it was the Popes themselves (from Pius XI onwards) who personally promoted “active participation” of the laity, first tentatively and then in increasingly lethal doses. In this way, they advanced the progressivist agenda of the reformers and effectively undermined the objections of the faithful. Pope Pius X had taught that the singing of the liturgy was a function of the sacerdotal office, i.e., a prerogative of the ordained ministers of the altar and the choir of Levites. Pius XI, on the contrary, presented it as the right and duty of all the baptized, whether clerical or lay. In these two approaches – the former strictly clerical, the latter open and “democratic” – we find an echo of the types of liturgies characteristic of two opposing religions: Catholicism and Protestantism. One cannot help drawing the inference that such a revolutionary move on the part of Pius XI echoes the doctrinal conflicts of the two religions as well. As the 16th-century Protestant reformers rejected the Catholic priesthood, their congregational singing was among the most efficient agencies in carrying this principle to the minds of the people. It can be regarded as the liturgical expression of principles common to Protestantism and embodied in Lutheranism and Calvinism alike. One wonders, therefore, what place such a practice might be thought to have in a Catholic liturgy codified by order of the Council of Trent, until the realization dawns that congregational singing was the sine qua non demand of the Liturgical Movement initiated by Lambert Beauduin for the purposes of promoting Ecumenism. 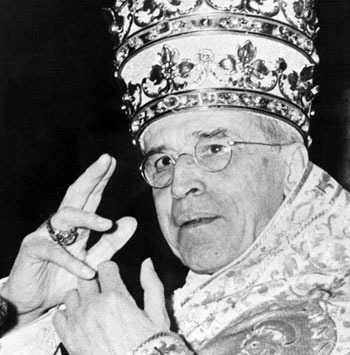 Pius XII tried to solve the problem by taking both sides of the dispute. He upheld the necessity of Latin in the liturgy in Mediator Dei, but the authorized use of the vernacular increased considerably during his pontificate in many countries. He taught that interior participation in the liturgy is of primary importance, but placed emphasis on the “activity” of the laity as the best means to achieve participation. It is evident from this brief sketch that, for Pius XII, the liturgy had two faces, the traditional (sacred) and the modern (worldly), now differentiated, now enigmatically confused in Mediator Dei. 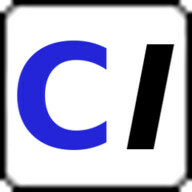 This explains how the message it contained was capable of being filtered through various prisms, with the result that the Pope is hailed by conservatives as a defender of Tradition and by progressivists as a friend of aggiornamento or adapting the liturgy to the demands of the modern world. In keeping with this dual vision, the liturgy became the battleground where these two antagonistic forces confronted each other and fought for hegemony in the Church. In this sense, the encyclical can be said to have applied not so much the bridle as a rather sharp spur to the Liturgical Movement in the lead up to Vatican II. Fr. Carlo Braga who collaborated closely with Bugnini and became Secretary of the Consilium under Paul VI. With this Commission, Pius XII created a new class of liturgical specialists and entrusted key offices, carrying great power and influence, to them, and allowed them to become the dominant force in the Liturgical Movement. The fundamental contradiction inherent in his policy is that Mediator Dei was hijacked within a few years by the type of progressivist reformers he seemed to think he was opposing. Mgr. George Roche, Pie XII Devant l’Historire, Editions Robert Laffont, Paris, 1972, p. 52. Then, still in the reign of Pius XII, he was appointed Consultant to the Sacred Congregation of Rites (1956) and to Professor of Sacred Liturgy in the Lateran University (1957). Address of Pope Pius XII to the International Congress on Pastoral Liturgy held at Assisi, September 22, 1956. See Acta Apostolici Sedis, October 29, 1956, p. 712, and L'Osservatore Romano, September 24, 1956. He urged that “the whole congregation, in accordance with the rules of the liturgy, either answer the priest in an orderly and fitting manner, or sing hymns suitable to the different parts of the Mass, or do both.” (Mediator Dei § 105). 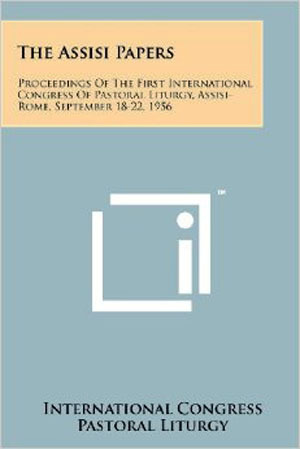 Address of Pope Pius XII given to the International Congress on Pastoral Liturgy at Assisi in 1956. A. Bugnini, The Reform of the Liturgy (1948-75), Collegeville, Liturgical Press, p. 6. The Praetorian Guard was an elite corps of soldiers chosen from among the most experienced and trustworthy troops to act as the Roman Emperor’s bodyguard. By the way: Did you ever wonder why the sacrilegious and blasphemous gatherings take place at Assisi? Pope Pius XII’s address to the participants at the Assisi Congress in 1956 contains a number of unwelcome surprises for those who thought of him as in every way a solidly traditional Pope. Just as the Congress itself had turned out to be a platform for tendentious propaganda, so the Pope’s speech reflected and perpetuated the reformers’ “narrative,” endorsing their message about “active participation” for the faithful in the liturgy. The Pope stated that “undeniable progress” had been made through these reforms. But “progress” does not necessarily guarantee improvement, as in the case of the progress of a terminal disease. In the context of the Liturgical Movement, “progress” meant only an advance along the road toward the goals envisaged by the architects of Progressivism. 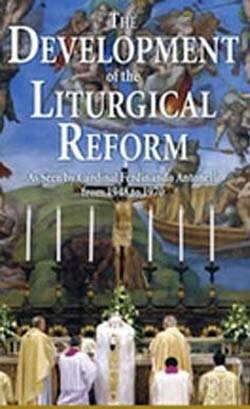 These reforms represented a significant turning point in the Church’s liturgical development, the precedence of so-called “pastoral liturgy” (aimed at adapting the ceremonies to the prevailing mentality of modern man) over the objective liturgical tradition of the Church. In fact, one of the speakers at the Assisi Congress, Fr. 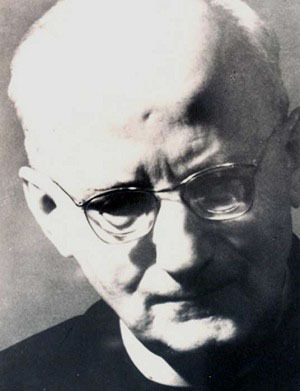 Josef Jungmann, posited that the Church’s liturgy had, since early Christian times, become “corrupted” and had lost its power to sanctify the faithful because they could neither understand nor participate in it. The implication of this blasphemous smear on the Church’s sacred patrimony is that what we once esteemed was never really valuable in the first place. From which it follows that somewhere in its early history the Holy Spirit had departed from the Catholic liturgy, only to return in the 20th century with the new “pastoral” approach of the Liturgical Movement. If God was with it, who could be against it? A more imprudent and divisive opinion could hardly be imagined – imprudent because it seemed to imply that the traditional liturgy was grossly deficient and needed Spirit-led changes; and divisive because it signalled the Pope’s preference for the reformers, rather than the conservatives in the Church, at least on certain issues. But, the salient point is that the Pope – or whoever wrote his speech – simply assumed that because the liturgical reforms were promoted by members of the Church, their Movement must perforce enjoy Divine approval. His statement that “the chief driving force, both in doctrine and in practical application, has come from the hierarchy” is deeply troubling for two reasons. First, it is an admission devastating in its implications. It reveals that it was the Church’s leaders, including the Pope himself, who were the driving force behind the international effort to reform the liturgy. In other words, it was the Pastors, more so than the liturgists, who were responsible for driving the sheep towards a liturgical cliff over which they would fall with astonishing suddenness within a few years. However, only a tiny minority of Bishops at that time favored the reforms; and at the beginning of his pontificate most did not even have the slightest suspicion that such reforms were being planned. It is incomprehensible, therefore, that he should seek to alter the spirituality of Catholics who valued the Church’s traditions to suit those who did not. Second, the Pope talked as if the reforms were unimpeachably orthodox “both in doctrine and in practical application” as if the lex credendi were in perfect accord with the lex orandi. Here we are not addressing the orthodoxy of Pius XII’s magisterial teaching on matters of Catholic doctrine. But to the degree that his reforms promoted “active participation” of the laity in the sacred functions, they introduced a tension between the Faith and pastoral practice. The laity was now seen to be “on the move” against a “despotic” clergy, who had allegedly robbed them of their rightful roles in the liturgy, to take back what belonged to them by virtue of their Baptism. The clergy-laity class struggle had been the raison d’être of the Liturgical Movement since its inception by Dom Lambert Beauduin. Even though Pius XII taught the true doctrine of the Catholic priesthood, he nevertheless gave official impetus to the rolling revolution of lay “active participation,” which challenged the exclusive role of the priest. By promoting this competitive spirit, he initiated the process that turned the liturgy into an ideological battleground which continues to our day, to the detriment of the ministerial priesthood and the confusion of the faithful. But, that was pure fabrication put about by Bugnini, who had massaged the results of the liturgical Commission’s surveys to give the misleading impression of general acceptance. For all his efforts, Bugnini had not produced evidence that was in reality objectively convincing or statistically significant. Also, the reformers had been spreading a false sense of despondency about how useless the traditional rites were and claiming that the faithful welcomed with relief all the new, exciting initiatives that were on offer. There was no general euphoria among the Catholic population, clerical or lay, in response to the reforms. In fact, the reformers themselves complained for years about the lack of enthusiasm for “active participation” and the extreme difficulty in getting the faithful to say or sing the responses. Besides, it is dishonest to claim that the laity accepted the reforms with joy on the basis of their presence at ceremonies, which they attended out of duty and obedience. See the Encyclical Musicae Sacrae (Of Sacred Music), 25 December 1955, § 74. 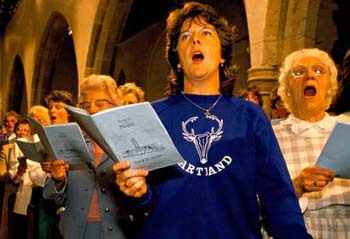 The document allows female choristers on the lame excuse “where there are not enough boys” to sing in church. But how few are “not enough?” Men (of whom there was never a shortage in those days) could always have been recruited to make up the numbers. As with the altar server debacle of the 1990s, the best way to ensure a dearth of boys in liturgical roles is to have girls perform alongside them. Hmm, Carol Byrne a modern woman who writes on theology vs Pope Pius XI and Pope Pius XII, both Vicars of Jesus Christ on earth. It takes me not even a second to figure this one out. Yes: Pius XI and Pius XII did well because Dr. Byrne is a woman. It takes us forever to figure out what you are specifically talking about and specifically what Pius XI and XII said to support whatever you are talking about. For all we know you are an effeminate who likes to stand in front of the laity at mass and make a spectacle of yourself. The "lovers" of the Dialogue, the Novus Ordo, are all effeminate feelings oriented types, that is why men do not go to mass anymore, only the feelings oriented types "love the show". I love your post here, I found it especially amusing that youyou say he needs to stay in the loft and your avatar is a pigeon outside of one. I totally agree with you though. The dialogue mass isn’t the Novus Ordo! It’s a mass that encouraged laypeople to say some prayers at the mass. No big deal here. Since when is encouraging laypeople to pray a bad thing?